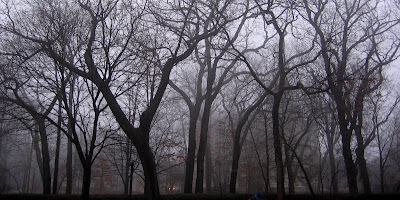 I really like the ethereal and abstract quality of the dark tree trunks and the gray fog. Very nice. I love how the bare trees look in the mist. But I'm looking forward to seeing leaves soon!